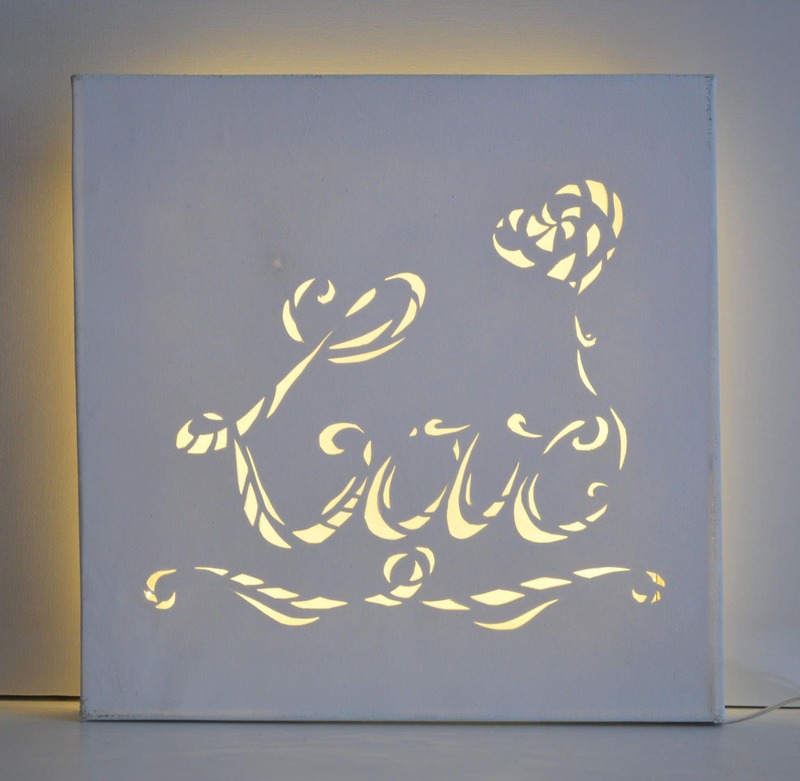 The word 'Love' is carved on a cotton canvas on frame and is illuminated by a LED garland for a nice soft atmosphere. LED bulbs are powered by batteries (supplied, 3x AA). The canvas is 30cm x 30cm. Possibility of changing the power supply for a mains socket on request. Work signed on the back.